We know that with over 450 mouldings and mats to choose from, you may need some guidance in finding the one that's right for you. 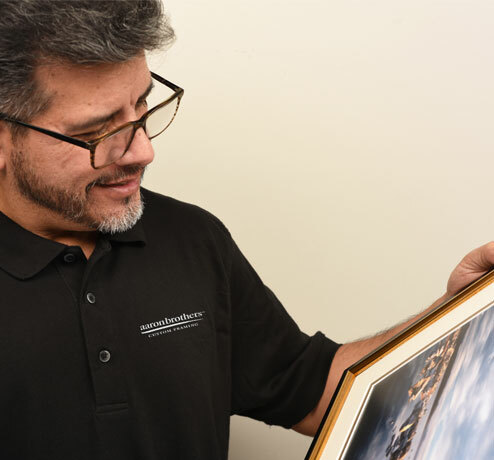 With over 70 years of experience, our Custom Frame Personal Designers are here to help you create a custom frame to complement your home or business. Make an appointment online, or walk in during store hours. Let your Custom Frame Personal Designer help you design a Custom Frame as unique as you. Need to cancel your appointment? Simply click the link in your confirmation email.